Calling for improved communication in the field of science and technology, eminent scientist and chairman, National Innovation Foundation, Dr Raghunath Mashelkar has said that it is important to advance knowledge and people need to know how that knowledge is for their own good. “Public awareness will increase public engagement. Be it health, nutrition, food, security or any other subject, science touches every aspect of life. What happens is scientists are poor communicators… the need of the hour is to train our scientists not to use jargon but use common man’s language so people understand. This requires special training so improved communication between sciences and society becomes easier,” said Dr Mashelkar at the Science Communication Dialogue for New India organised by IIT- Bombay and Observer Research Foundation(ORF). 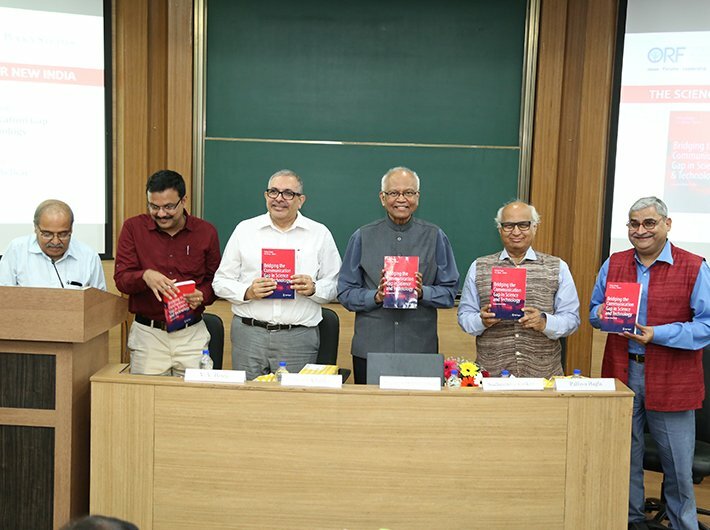 “What is very close to my heart is actually engaging for influence…influencing those who influence the national policy-members of parliament,” he added at the event also saw release of the book “Bridging the Communication Gap in Science and Technology” edited by Pallava Bagla. In a new initiative to make science communication a national movement, IIT Bombay and ORF announced six National Science and Technology Fellowships each of Rs 1 lakh in languages other than English for publications. Kulkarni also said that media must bring out science bulletin’s and stories and speak about innovations happening in the field of science and technology so that people are engaged and motivated. “Our political leaders, who are decision makers, most of them lack understanding of science and technology. IIT Bombay and ORF together are starting a new initiative where short terms courses will be started for our MPs and MLAs,” said Kulkarni.